I enjoyed about half the book. Half of it was funny, well-written, intriguing and therefore great to read. The other half wasn’t funny, or trying-too-hard-to-be-funny and failing. 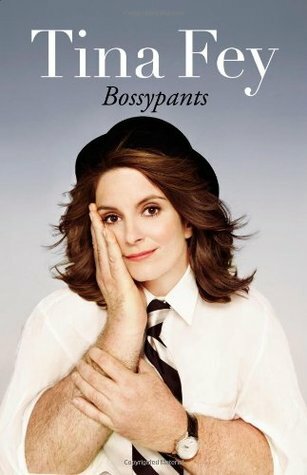 The books seems to be more a random recollection of certain things in Fey’s past than an actual memoir. In a book, which in said to be ”reveal all”, one would expect a few more things to be revealed. It does include quite a few never-before-solicited opinions, which are mostly just not very relevant, though some of them are funny (others miss the ball). Those passages, where Fey tries to make the book funny, but (for me) doesn’t succeed, are usually the passages that aren’t meant to be funny. In my opinion, there are parts of a persons life that with the best of efforts are just not funny and thus should not be portrayed as such. In the end, I would say I expected more from this book and Fey. Sunday Post #20 – How hard is it to READ!? after reading and liking yes please last month I’m really interested to read this one as well. though it might have just dropped a fwe spots on my wishlist.. I liked this book, I enjoyed it but I agree, I expected more. I have the audiobook and maybe that’s funnier? I don’t know. I did like Amy Poehler’s book better, and it’s always been hard for me to choose between these two ladies. I’ve heard better things about the audio book. Maybe if read in a certain way it gets better. Unfortunately (for me then) I had the hardcopy. I definitely liked parts of it though, hence the three stars.